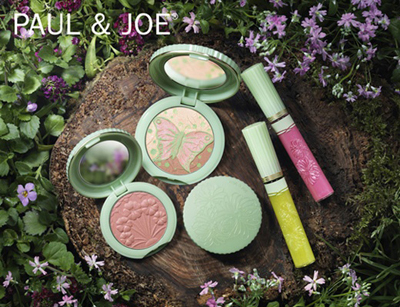 These images of the Paul & Joe's limited edition 'Midsummer Nights Dream' with it's mint green and pastel hued packaging, hints of shimmer, decorated with flecks of gold and embossed with butterflies and flowers, is literally a dream for us makeup lovers. 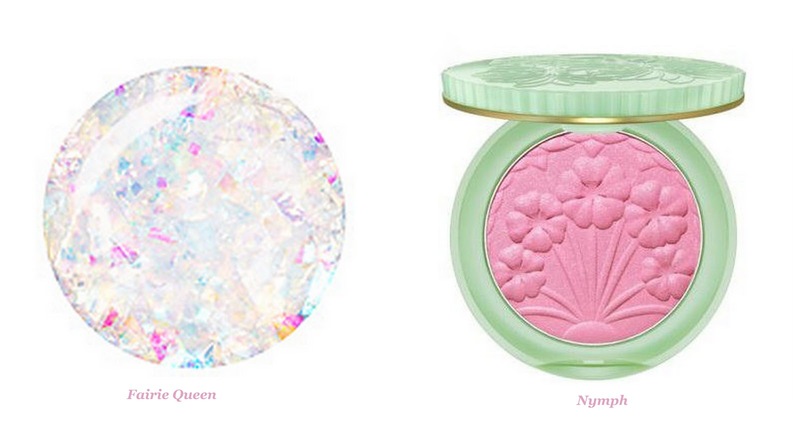 The range consists of a Shimmering Pressed Powder and Shimmering Body Lotion to add a 'moonlit iridescent glow to skin' Face Colours 'inspired by the warm tones of a midsummer sky, the dreamy blushes contour cheeks and provide a natural, enchanting glow' in Nymph, Nubile and Faune; Flavoured Lip gloss in Love Potion, Fairie Kisses and Dream A Little Dream; as well as Nail Enamels in Fairie Queen, Sprite and Pixie. My stand out favourites from the collection are Faerie Queen Nail polish which looks absolutely divine and 'Nymph' - both products are far too pretty to pass up. The collection will be available exclusively online at asos.com.